There are a lot of cases which alow to read a user data but it’s to slow or drive has a damaged surface at the start of users area, as result impossible to expand a user partition or it takes a lot of time. In this article we will talk about this problem and possible solutions for it. 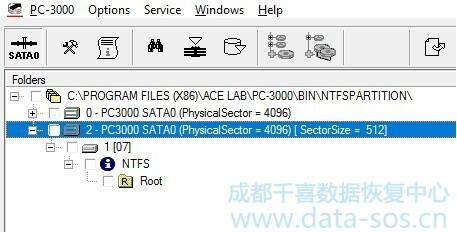 For example we have created a new task in the Data Extractor tool and see a lot of problem sectors at the start and DE can’t recognize NTFS partition. Basically if drive haven’t physical problems and partition(s) can’t be opened we can launch a Quick disk analysis option or RAW recovery procedure and find a Partition. But if the drive have a scratches on the surface we have a time restriction and should perform steps quickly. The only way is try to expand partition(s) manually. In this article we will talk about drive with one NTFS partition. If we know that it’s only 1 NTFS partition on the drive we can try to find NTFS Boot file by RAW recovery or by GREP signature. 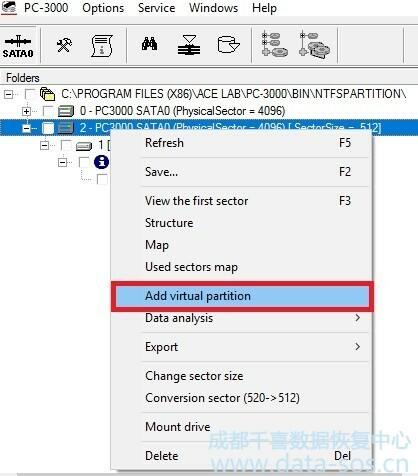 At the end of the users area there is a Boot copy that is also can be used for building a Virtual partition. But if Quick disk analysis is failed and we haven’t Boot and Boot copy (sectors doesn’t read) then we can try expand partition based on MFT table . 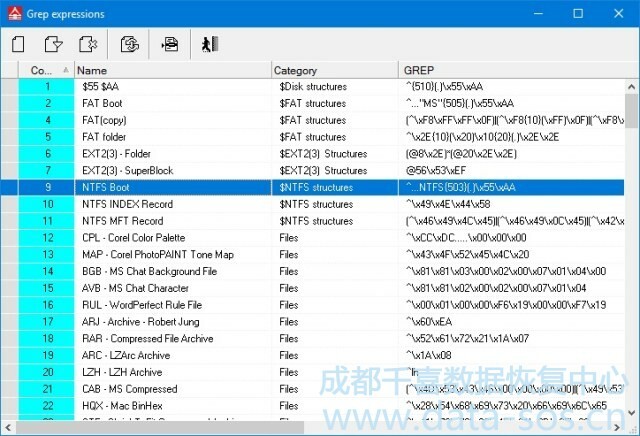 MFT table (Master File Table) is a main file which describes all user files in partition. First 16 records are system and they are not available for OS they are called Metadata. These first 16 records have a fixed LBA address. 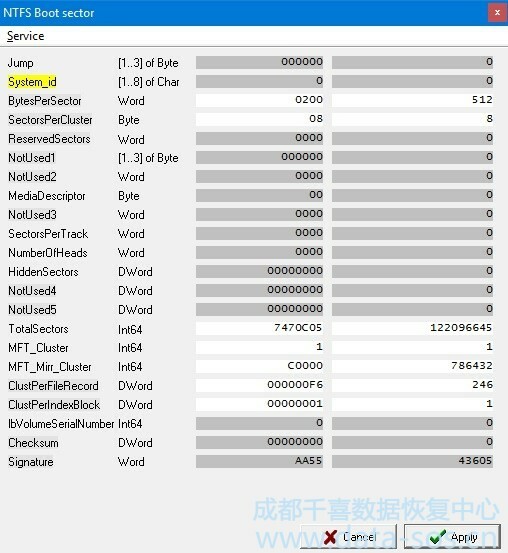 So, firstly we need to find first record of MFT table in the RAW recovery or by GREP. If drive have a reading problems then we can use our knowledges. 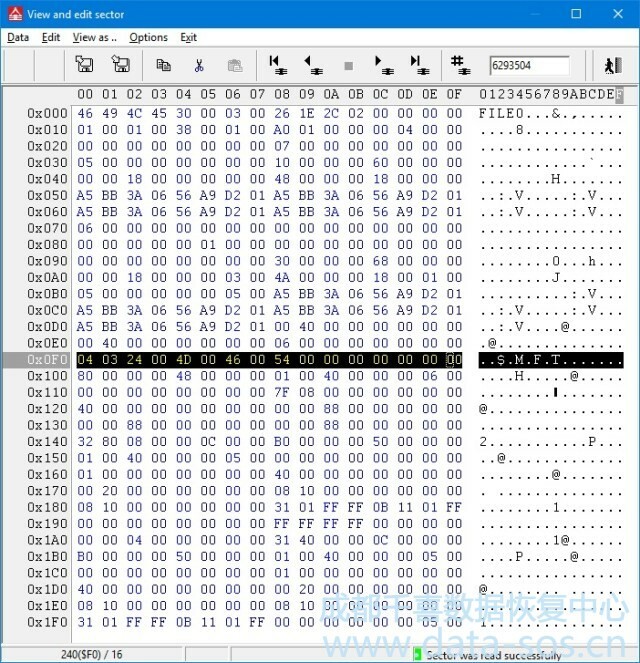 Initial LBA – it’s anticipated LBA of NTFS Boot sector (63 or 2048). Final LBA – it’s last partition sector. Let’s think that we have only one partition on whole user area then set the last sector value. Cluster size – as we know drive write data by cluster (basically it’s 8). We should fill three fields” Total sectors, MFT_Mirr_Cluster and MFT_Cluster. MFT_Cluster – this is value of first MFT record in clusters (not LBA). 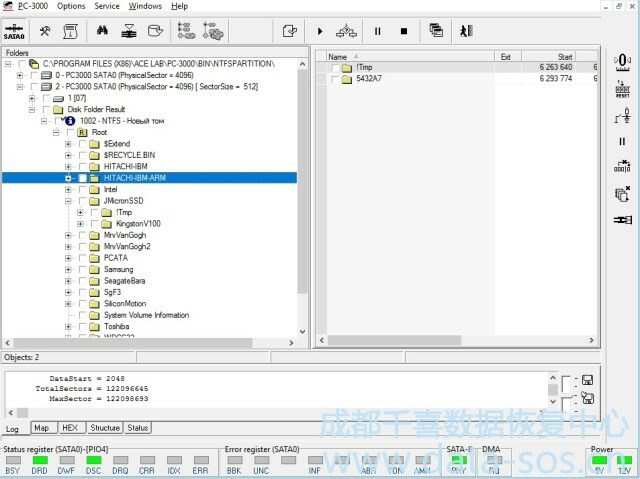 As result we get a virtual NTFS partition and can perform a different researching procedures like build MFT map, perform Partition analysis etc. In current case we got a whole partition structure with all files and folders. Note: that we have created a Virtual Partition. Nothing has been wrote on the drive. This guide probably will not work in cases with non-standart ways of NTFS volume creation (via Virtual machines images, embeded devices, dvr devices, etc).